Sara and Janhvi joked about how they have been pitted against one another by the media. 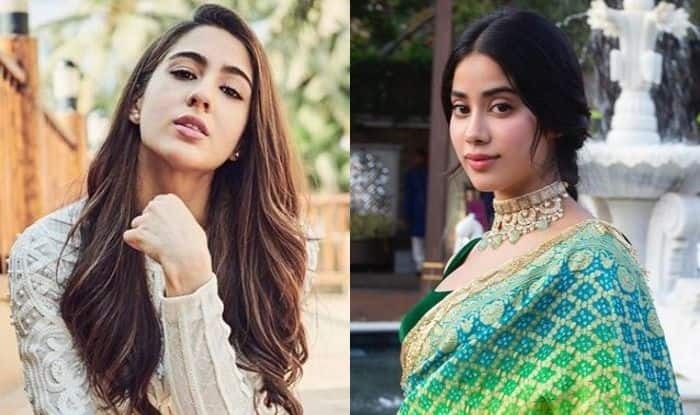 Bollywood’s newcomers actresses Sara Ali Khan and Janhvi Kapoor got together to speak out about their media-created rivalry, and to also narrate a funny incident that had taken place during the screening of Kedarnath. Ever since the two young stars began their acting careers, there have been a lot of speculations about them being rivals. But they have time and again refuted the allegations, and did so again recently when they sat down for an interview. In the interview, conducted by News18, Sara and Janhvi joked about how they have been pitted against one another by the media so many times that they should make a red carpet appearance together to save them the trouble of making collages. Sara went on to reveal that things have become so bad that when doing promotional interviews, she now looks directly at the cameras and says, “Hi Janhvi”. When asked if they become competitive or not, they both answered in the negative, with Janhvi saying that she gets motivated and that she needs to learn from Sara. “It’s only a negative thing, if you make it a negative thing. It’s inspiring to have so many wonderful artists around you, otherwise it gets boring,” Janhvi said. Also present at the interview with News18’s Rajeev Masand were actors Zoya Hussain, Ishaan Khatter and Radhika Madan.